NEWPORT BEACH, CA—Preferred Hotels & Resorts has 13 properties scheduled to launch in 2018. Set to launch in spring 2018, the Bobby Hotel will be located close to Printer’s Alley in downtown Nashville, TN. The nine-story Bobby Hotel will have 144 guestrooms and suites, four dining outlets, including a café , all-day restaurant, cocktail bar serving light bites, and a rooftop bar complete with a 1956 Greyhound. The repurposed tour bus, which plays into the property’s aesthetic and evokes a musician’s life on the road, will offer guests and the local creative set a bird’s eye view of the downtown area. The newest luxury development in Houston, TX, The Post Oak Hotel at Uptown Houston will open its doors in spring 2018. The hotel will have 250 rooms and suites, 20 executive residences, high-end fashion stores, a Rolls-Royce, Bentley, and Bugatti showroom, restaurants including Mastro’s Steakhouse and Willie G’s Seafood, spa, and coworking spaces. There will also be a 5,000-sq.-ft. presidential suite with a media room, personal gym and private elevator access, as well as a helipad for big entrances. Located on 39 acres of beachfront in the Santa Maria Bay, Cabo San Lucas, Mexico, this luxury resort slated to open spring 2018 will have 122 expansive guestrooms and suites, as well as 52 Montage Residences. Property highlights include Spa Montage, two pools and multiple dining venues, as well as a children’s program, Paintbox. Montage Los Cabos will be the sixth property and the first outside of the U.S. from Montage Hotels & Resorts to join Preferred Hotels & Resorts. In Amsterdam, Holland, the Pestana Amsterdam Riverside will be located in the historic former Town Hall in the heart of the De Pijp neighborhood. Set to open in February 2018, the property will have 154 rooms, suites and apartments with its interiors and furnishings designed by Studio Linse to complement the building’s Neo-Dutch Renaissance architecture. 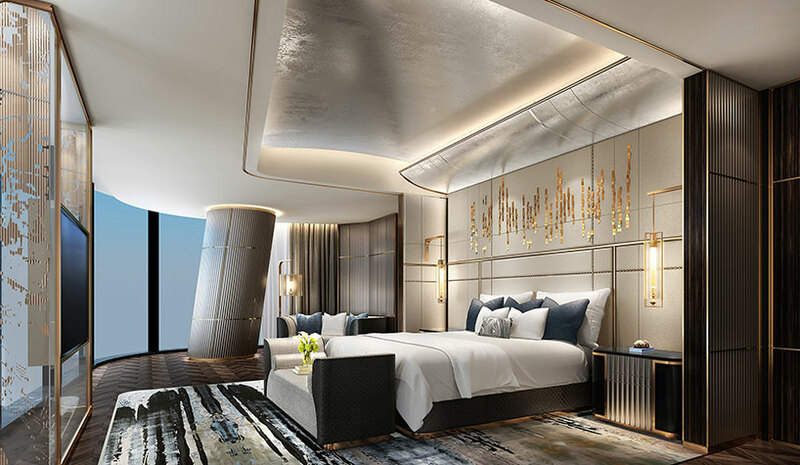 Launching in the heart of Shanghai’s commercial district, The Middle House will offer 111 rooms as well as 102 serviced apartments, with interiors created by Milan-based architect and furniture designer Piero Lissoni. Part of The Swire Group’s House Collective, the property will incorporate an abundance of outdoor spaces and will have a signature restaurant, Café Gray Deluxe. It is slated to open in early 2018.